Our products primarily consist of specialty steel strips, pipes and fittings. Based on the design of our client’s piping system, we have the expertise to tailor the shapes and specification of our products, providing the end users with environmentally friendly and safe water and gas pipeline networks. We are equipped with an internal product design team who can customize and modify our products to meet each end user’s specific needs. Our technicians are also available to install products directly for our customers or assist contractors with the installation process. We have developed expertise in providing piping solutions for infrastructural projects, hotels and residential complexes. To maximize the utility of our products and create a systematic solution for our customers, we often combine the strength of available third-party components on the market with those of our own products to help our customers create an efficient and safe piping system based on their project needs. As we plan to position ourselves as a widely-recognized industry leader, in addition to being a manufacturer and supplier of piping and fitting products, we plan to add additional value to our products by providing consulting service with respect to the design, installation and maintenance of the piping system. We manufacture carbon steel and stainless steel strip for sale to traditional manufacturers who are not in the pipe and fitting industry and for our own internal use in the production of our pipes and fittings. Our ability to produce steel strip in-house allows us to ensure the quality and consistency of our pipe and fitting products. Our carbon steel and stainless steel pipes are primarily used in water and gas transmission systems. Carbon steel pipes are generally stronger than stainless steel and therefore are typically used in applications that require high-pressure resistance, such as gas transmission and fire hydrants. Stainless steel pipes, in contrast, are more corrosion resistant and are commonly applied in cases that require clean transmissions, such as drinking water and pharmaceutical liquid transmission. We have production lines specifically designed to produce LGSSP, which have 40% thinner walls than regular stainless steel pipes. The reduction in the thickness of the pipe wall leads to a reduced manufacturing cost and weight and enhances installation flexibility due to its smaller size. LGSSP is an affordable option for household plumbing systems that require easy installation. We manufacture high-quality pipe connections and fittings that are used to connect pipes. 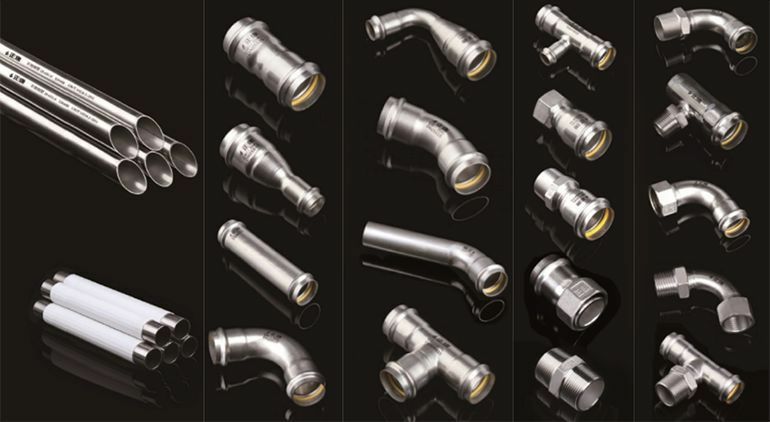 Pipe fittings have wide applications for any piping and plumbing systems in both industrial and commercial applications. 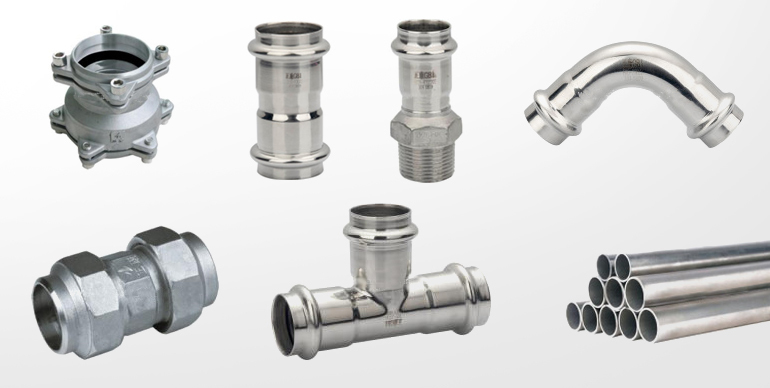 Fittings allow pipes to be joined or installed in the appropriate place and terminated or closed where necessary. We produce fittings in various shapes and sizes, with more than 10,000 different specifications. As most leakages are caused by misalignment or improper manufacture of connections and fittings, pipe connections and fittings, being the most crucial components of any piping system, require extremely precise production procedures. Pipe fittings to extend or terminate pipe runs: couplings, adapters, unions, caps and plugs pipe. Our connections and fittings segment has grown significantly during 2016. The increased proportion of our revenue generated by the connections and fittings segment reflects a shift in our manufacturing and marketing priority to this segment. We have shifted our focus to connections and fittings because we could offer more value-add to our products than pipe or strip. More importantly, providing quality products in this segment is more likely to help us retain clients as consistency and quality of joints and fittings play a big role in reducing maintenance costs and leakage rates for the customers.